Corporate Office: 1101 Pennsylvania Ave. 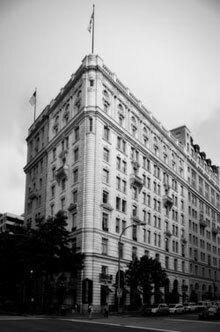 N.W., Washington D.C.
Fabiani & Company is a Washington, D.C.-based government affairs and strategy consulting firm. It was founded with the primary goal of providing creative and innovative solutions to help a select group of clients represent their interests before the United States Federal Government. During James Fabiani’s 30-plus years career in the government and private sectors, he has been the Director of the US Congress Committee on Appropriations – the Congressional Committee that funds all operations of the US government, including all trade, diplomatic, foreign aid, intelligence, and defense programs; built and sold the largest-ever government affairs marketing business in the United States; and founded his current firm, Fabiani & Company. Fabiani & Company is comprised of an experienced team of specialized professionals. With decades of experience in Washington, and with offices in major world capitals, our team offers the knowledge and capabilities to design and implement strategies that exceed our clients' expectations and achieve their goals. In addition to its extensive experience within the United States government, Fabiani & Company’s government affairs team has represented foreign governments from Europe, Asia, the Middle East, South America and Africa. Additionally, the firm has represented hundreds of foreign, multinational corporations – helping these industry players pursue their business objectives with the US government and in US and foreign commercial markets.